Constructed by king of Kashmir Suchat Singh in 1929, Chandi temple is located on top of the Neel Parvat. You need to walk 3 Km from Chandi Ghat to reach Chandi temple. In 8th century statue of Chandi devi temple was established by Adi Shankaracharya. Now, one can also reach this place via cable car. Devoted to ‘Adhisthatri deity of Haridwar’-Goddess Maya Devi, this historic temple is considered as a Siddhapeeth. There is a belief that when Lord Shiva was taking away the dead body of Goddess sati, navel and heart of Goddess sati was fallen here. 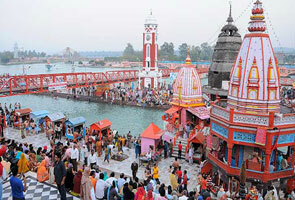 Har ki Pauri is a place where after every 12 years Kumbh mela is celebrated. This place is also refered as Brahmakund and people have belief that godly nectar fell from carafe at this place. People from longer distances visit Haridwar particularly to take holy bath in Ganga. In evening you can see an attractive view of Ganga Ghat when several golden diyas float in water when evening aarti is held. The reflection came out of diyas gives soothing feel to people. King Vikramaditya had build this sacred Ghat in remembrance of his brother Bhatrihari who use to meditate in Haridwar at Ganga banks. temple is located on top of Bilwa Parwat. You can reach their using ropeway or by feet. You can enjoy Haridwar’s bird’s eye view at this place. Two Goddess statues are located there out of which one has 3 mouths and 5 arms & other has 8 arms. Situated in the south of Kankhal historic Daksheswara Mahadev Temple considered house of Lord Shiva. This temple is also considered the place of yagna conducted by Daksha as per the mythology. Just 1 km away from Har ki Pairi, Bhimgoda tank is located. This tank is considered to be made by the knee of bhim when Pandavas were reaching to Himalayas via Haridwar. This is the place where seven sages had done meditation. Name of these seven rishis were Vashisht , Kashyapa, Jamadagi , Bharadwaja , Atri, Gautam and Vishwamitra. Ganga River didn’t want to disturbe the meditation of all those seven rishis so she had divided herself into 7 different streams. Located at a distance 5 km to the north of Haridwar’s center, Bharat Mata Mandir is devoted to Mother India. Temple is constructed in the form of half national building and half temple with 7 floors. 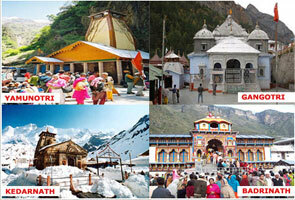 Famous saints, deities and secular Indian heroes are worshipped here. Thousands of birds migrate to this place in winter season. Located at Ganges river at the Bhimgoda Barrage, Neel Dhara is a Bird Sanctuary and is treat of watch for bird lovers and watchers. : This temple is ashram of Doodhadhari Barfani Baba. Doodhadhari Barfani Temple is among the most beautiful Hlridwar temples and constructed using white marble. The temples of Rama-Sita and Hanuman are major attraction of the place. This ashram is Head Office of the honored organization and situated at Kankhal. You can visit the samadhi of Shree Shree Ma Anandamayee at thus place. Located in the middle of attractive Rajaji National Park at border of Haridwar in Ranipur, this Sureshvari Devi temple is devine and highly religious. Soothing environment of this place makes it a habitat of saints and worshipers. It is required to get permission from forest rangers. This place is famous for 150kg Mercury Shivling (Parad Shivling) and Rudraksha tree place is located at Harihar Ashram, Kankhal. This is primary ashram of Ramanand Sampraday in Haridwar located near railway station in shravan nath. Its chief is Mahant Bhagwan Das. This sacred place remains crowded with Thousands of devotees all year long. Located along side Ganga River, Neelkanth mahadev temple is near mountain summit. As per the mythology Lord Shiva had drunken poison formed at the time of 'Sagar Manthan' that converted the throat of Lord Shiva blue and therefore this place is referd as Neelkanth and is located at a distance of 99 kms from Dehradun city. Lord Shiva is also called as Neelkanth and Mahadev. one of the most popular tourist destinations of Haridwar is Pawan Dham which is a modern temple constructed exclusively using glass pieces. Swami Vedantanand Ji Maharaj, People from Moga Punjab and institute of Swami SahajPrakash Ji Maharaj have put major effort to create this auspicious temple via labor as well as money. You might have heard about All World Gayatri Pariwar (AWGP), a spiritual and social organization which is established by Pt Shriram Sharma Acharya. Shantikunj is headquarter of this popular AWGP organization. It is situated just 6 Kilometers away from Haridwar railway station while travelling on NH58 towards Rishikesh/Dehradun. 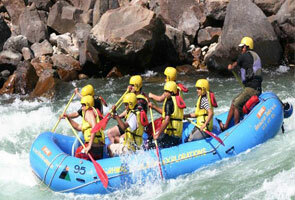 Shantikunj is major attraction for tourist looking for spiritual guidance. 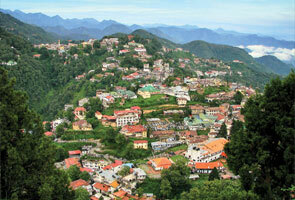 This place has perfect location at holy Ganges bank and amid of Himalayan Shivalik ranges. A place you must visit when you tour at Haridwar is Sati kund which is a popular mythological heritage in Kankhal. This kund is famous for its story that Goddess Sati immolated herself in it. Founded in 1996, Rajaji National Park is located at a distance of 10 Kms from Haridwar. This place is full of life and beauty with covering area of 820 sqkms at border of Doon Valley. In Rajaji national Park you will find around 315 avifauna species and 23 mammals’ species. Animals are nurtured here with safety and concern. You will find barking deer, chital, wild boar, elephant, panther, bear, monitor lizard, tiger, sambar, python, etc at this park. You can also enjoy Elephant Safari at Dholkand and Chilla. You can also visit Swami Ramdev’s research center and yoga institute Patanajli yogpeeth which is located at Haridwar - Delhi Highway. Thousands of visitors visit this place daily to learn Yoga and watch this place. ShantiKunj, Pawan Dham, Jairam Ashram, Bhuma Niketan, Doodhadari temple, Bilkeshwar Mahadev temple, Bharat Mata Mandir, Ma Anand Mai Ashram ,Vaishnav Devi Temple, Prem Nagar Ashram, Radha Krishan temple, Shravan Nath Math, Shahi Gurudwara, Parmarth Ashram etc.